Iris Levine is the dean for the College of Letters, Arts & Social Sciences. After a national search, Professor Iris Levine has been selected as the dean for the College of Letters, Arts & Social Sciences, effective April 1. Professor Levine has served as the interim dean of the college since August 2017. During this time, she initiated a strategic planning process for the college and spearheaded an innovative “personal coaching” program, which was an initiative in collaboration with the Division of Student Affairs directed at improving student retention rates. She also fostered a cohesive, supportive atmosphere where faculty thrive as teachers, scholars and performers. She is also committed to promoting the importance of a liberal education in a polytechnic environment. 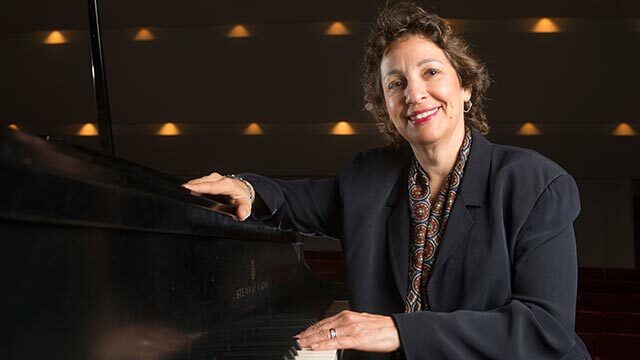 Prior to her interim appointment, Levine served as associate dean, music department chair and professor of music. Levine earned her doctor of musical arts degree in choral music from the University of Southern California, where she studied with one of the world’s foremost teachers of choral conducting. Recognized for her excellence and leadership in the global choral community, she is founder and artistic director of the premier women’s chorus, VOX Femina Los Angeles. Levine, a prominent scholar in her field, authored the chapter “Working with the Women’s Community Choir” in “Conducting Women’s Choirs: Strategies for Success” (GIA Publications). Levine is the editor for the Iris S. Levine Treble Choral Series with Pavane Publishing and is highly sought as guest clinician and adjudicator for choral festivals throughout the country. Provost Sylvia A. Alva would like to thank the search committee and chair Professor Faye Wachs for a smooth and successful search.